Never worry if you left the lights on or lock yourself out of the house again. You now have the ability to control your whole home – from temperature to light to security system – at the touch of a button. Use your personal computer, smart phone or tablet to control the functionality of your home’s features for added convenience, safety and efficiency. 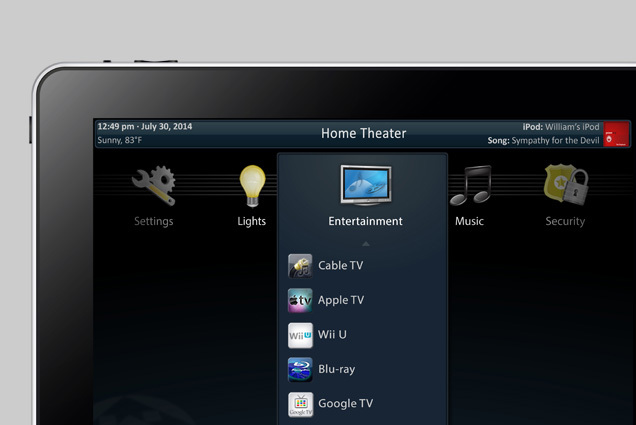 Home automation can be integrated with your personal computer, phone or tablet so that you have complete control over your home in the way that best fits your life. We’ve worked with many homeowners to give them the control and flexibility over their home’s features they’ve always wanted. Our experience makes us the perfect partner to develop your home’s automated systems. When traveling, working late or raising a family, our surveillance systems can help you rest easy knowing your home is safe. Over the years, we’ve kept up on the latest technology in surveillance to make sure your family is secure. Manage your surveillance equipment and get notifications even while at work or traveling. Call us Now! 704.251.0986 to leverage our hands-on experience to manage your home or keep your loved ones safe and secure.